It's also important to note as you begin, that Smart Fields are available in Word and PowerPoint, and work with Delimiters. Delimiters are characters or a combination of characters, that indicate the start and the end of placeholder text. Click here to learn more about delimiters and how to define your own delimiters in Hub Central here. On the cover page (1), there are four bits of placeholder text, that would be replaced with the actual title of the proposal, the company name of the client, the sales person's name, and the proposal date, before being sent on to the customer. Then in the header in the above screenshot (2), we can see that there's also placeholder text for the almost the same information: proposal title, client company name and proposal date. In fact, that information gets repeated throughout the 32-page proposal, particularly the 'client company name'. 1. The field name you define here will show up in the Smart Fields form that will pop up whenever someone inserts that content into an email, presentation or document, and also whenever someone uses this content to create a brand new document. The maximum number of characters allowed for Smart Field names is 30 characters. 2. The description will be visible in the Smart Fields form, and will appear as grey helper text, next to field names. The maximum number of characters allowed for Smart Field descriptions is 50 characters. 3. The field type is used to specify the kind of information that the smart field can receive. The following field types are available: Text, Date, Number, Single Select, Multi Select and Yes No. Text fields allow users to type in anything they'd like in the textbox provided. To see how the different field types show up on Smart Field forms, and learn about the Date and Number formats that you can impose for Date and Number Field types, please click here. 4. If you'd like Qorus to remember the values used to populate this field, you can turn on 'Remember Values'. 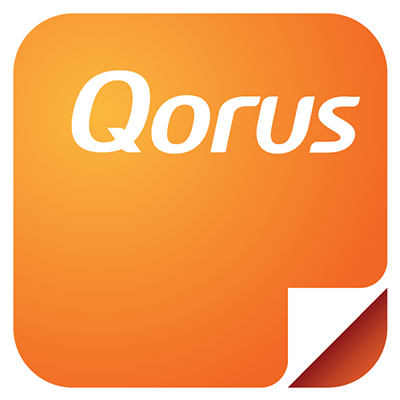 When turned on, as users start typing information for this field in the Smart Fields form, Qorus will provide autofill suggestions based on information previously entered into this field. The next choice then is whether the autofill suggestions should be based on information provided by the current user (when Tom fills out the Smart Fields form, Tom sees autofill suggestions based on information Tom has used in the past), or whether it should be based on information provided across all of Qorus (when Tom fills out the Smart Fields form, Tom sees autofill suggestions based on information everyone using Qorus has entered in this field in the past). 5. Finally, you can choose to simply save the Smart Field, or to save and insert the Smart Field into your document. The Smart Field will then be inserted wherever your cursor is placed in the document. In this particular example, the delimiters surrounding the 'Proposal Title' Smart Field are '<' and '>'. That is because these are the default delimiters that have been set up in the Qorus Hub used for the purposes of this help article. If in your Qorus Hub you've defined different delimiters to be used by default, those are the ones you'll see whenever you insert Smart Fields. Now if you have a large document, and a lot of the same placeholder text in multiple places across the document, it can be a bit tedious to have to locate all those places in the doc, delete the original text (or at least select it so it can be overwritten), and then click on 'insert' next to the same Smart Field every time. The good news is that there's a quicker way, using Word's native Find and Replace feature. Here, we're replacing the highlighted text 'Client Company Name, with '<Client Company Name>' (no highlight). If you're not sure how to do this, click here to see a Microsoft article that explains how to use this feature. And now, under the fields used in the document, we can see Client Company Name. If you look closely to the right of the Smart Field title, notice that there are 39 instances of this Smart Field in the document. Notice also that there's a 'question mark' icon next to that number. Continue reading to learn what to do next, and what this icon means. Notice that most of these have a 'question mark' icon next to them. That's because while these Smart Fields have been found in the document, they do not exist as saved Smart Fields in your Qorus Hub. The Smart Fields still work just fine. But if you'd like to re-use these Smart Fields in other documents and presentations, or display helper text and set preferences for remembering values, then there's some additional information you'll need to provide first. Once you've completed this information, and clicked on 'update', the Smart Field will be saved to your Qorus Hub and you'll be able to re-use it whenever you're designing Smart Content. While you're designing Smart Fields, and/or when you're done, it's a good idea to test and see what the experience will be like for people working with your Smart Content. Qorus Add-in Changes: Attention Slide Builder Users!